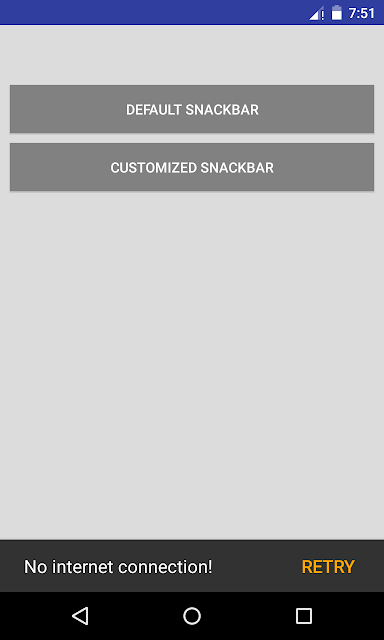 Xamarin android material design Snackbar customization . Which has the features similar like a Toast message in additional with interaction capability, displays at the bottom of the screen. In my previous post explained How to create Navigation drawer using android material design. How to use REST web service in xamarin mobile application. Set up new xamarin android application and add package "Xamarin.Android.Support.Design" Choose one created by xamarin inc. This is the example code for Snackbar customization. Come back here to see more material design UI component stuffs with the next post update.